But his mind? Well, that’s a horse of a different color. And while his shocking cameo lasted but a few seconds and he only uttered three words, Hopkins’ unexpected reappearance on Jonathan Nolan and Lisa Joy’s HBO series will be enough to launch a thousand fan theories come morning. Yes, more theories. 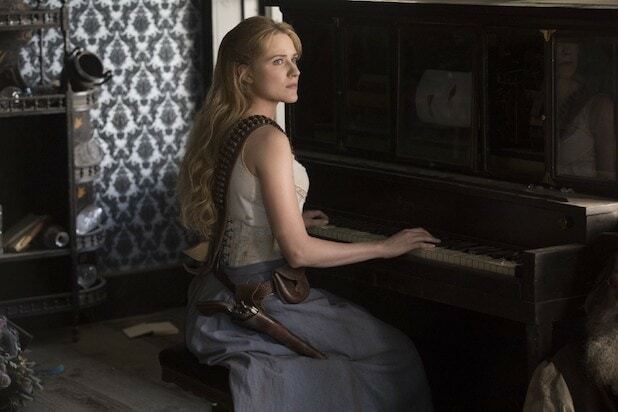 Because Dolores (Evan Rachel Wood) shot Ford in the back of the head at the end of Season 1 and the last time we saw his corpse at the beginning of Season 2, it was rotting away inside the park. So then how did Hopkins resurrect himself sans body? Toward the end of Sunday’s episode, Bernard (Jeffrey Wright) has Elsie (Shannon Woodward) slice his robot host brain out of his head and upload it to “The Cradle” (Westworld’s mainframe, hive mind, the thing that controls all the things, etc.) so they can figure out what is keeping them from regaining control of the system. Once he’s “inside” the park’s head, he starts walking through a simulated version of Sweetwater and toward the Mariposa Saloon. 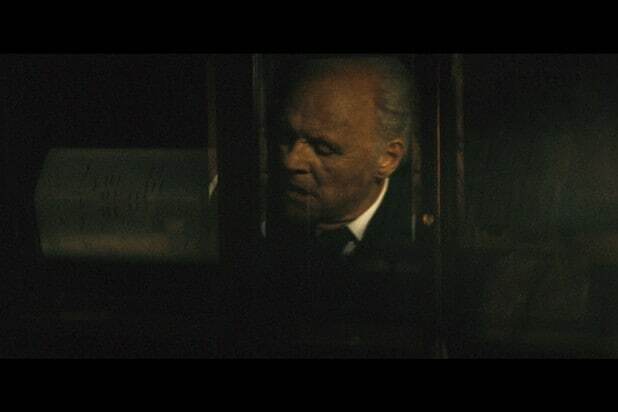 He passes versions of Dolores and Teddy (James Marsden) before entering the establishment to see his partner’s face reflecting back at him in the glass of the piano (See picture below). “Hello, old friend,” Ford says, while tickling the ivories. And the episode ends with Bernard — and all of us at home — in shock. We’re not sure where things go from here, but we know Ford is dead (we saw the maggots eating his face, OK?!?) so what we are watching here is most likely an uploaded version of his consciousness. And based on all those successful(?) attempts to put James Delos inside a host earlier this season in the episode “Riddle of the Sphinx,” we know that can be done. You just need one of those control units that look like a bouncy ball to do it. Like, oh, I don’t know, the one we’ve seen Bernard upload someone’s consciousness onto in repeated flashbacks this season? Yes, it seems like it was Ford that Bernard was uploading. And it seems like he put Ford inside the Cradle — he just doesn’t remember it now. 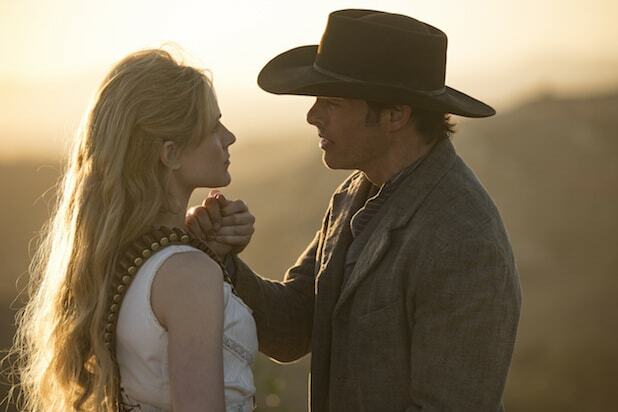 “Westworld” airs Sundays a 9/8 c on HBO.